How to choose correct 12V 3.75A ac adapter? 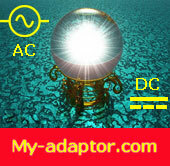 Choose 12V 3.75A ac adapter by brand you like. Note: a Black Color Power Cable will be included.